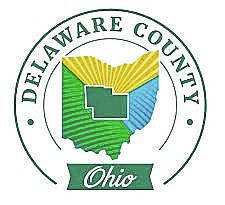 The Delaware County Board of Commissioners was confronted during its Oct. 29 session by residents who expressed their concerns over the county possibly taking over the management of Liberty Township’s emergency medical services (EMS). Commissioner Barb Lewis requested that a future discussion be placed on the commissioners’ Monday agenda. In attendance during the Oct. 29 session was Powell Mayor Jon Bennehoof, who spoke to commissioners about a task force. Lewis said she asked Bennehoof to present his task force idea for studying and streamlining EMS services. She said she saw his idea as a common-sense approach. “Frankly, I don’t see a savings when I look through that Fitch report,” he said. In July, county commissioners distributed a draft master plan to township trustees throughout Delaware County that offers four individual options for EMS, with one of the options being a countywide-run EMS department. The study and corresponding draft were provided by Fitch and Associates of Platte City, Missouri. Merrell, a Liberty Township resident, recalled a moment when his wife needed EMS services. Merrell said he wants what’s best for the county, but how to get there is the question. Commissioner Jeff Benton said he could not support the task force either as it stands. “I don’t think this is the answer. It’s not what I would call a balanced task force,” he said. Nine of the 13 positions “would clearly support the position that Mr. Bennehoof talked about in the session. The other four are clearly county employees who are subject matter experts, but they know their bosses strongly disagree on this issue, and therefore, they are going to try to keep neutral. “It’s a foregone conclusion in what the answer would be, and it would be supporting the position that was presented,” he added. Genoa Township Trustee Karl Gebhardt said this would be the third study done in the nine years he has been a Genoa Township trustee. His recommendation was to pick a date to provide the information and implement the plan. Gebhardt said as an elected official, the decisions are not getting any easier to make. Also present was Liberty Township Trustee Mike Gemperline, who declined to make a comment at the time. No decision concerning the possible creation of a task force was made by commissioners. The commissioners’ Monday, Nov. 19 session can be seen online at https://www.youtube.com/watch?v=eDsggBIdV8s. This entry was tagged Barb Lewis, D. Anthony Botkin, delaware county, EMS, Gary Merrell, Jeff Benton, Jon Bennehoof, Karl Gebhardt, task force. Bookmark the permalink.